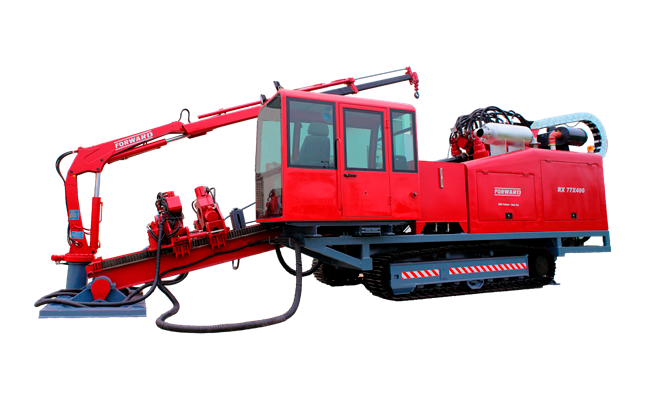 FORWARD Horizontal Directional Drill (HDD) Rigs are created by experts with many years of experience in HDD field. FORWARD equipment is a “golden ratio” of Efficiency – Price – Quality. 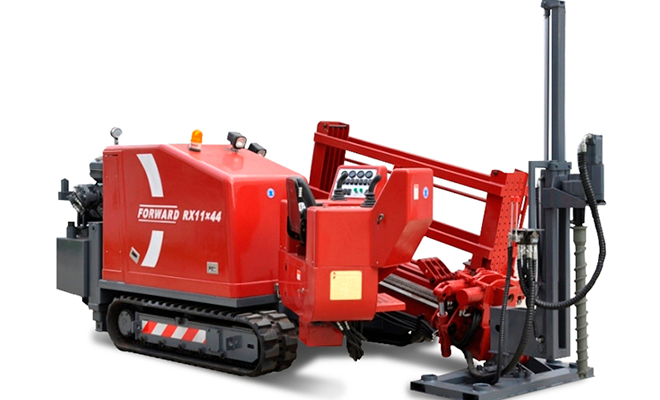 At present FORWARD offers HDD rigs with thrust-pullback force from 11 to 133 tons. 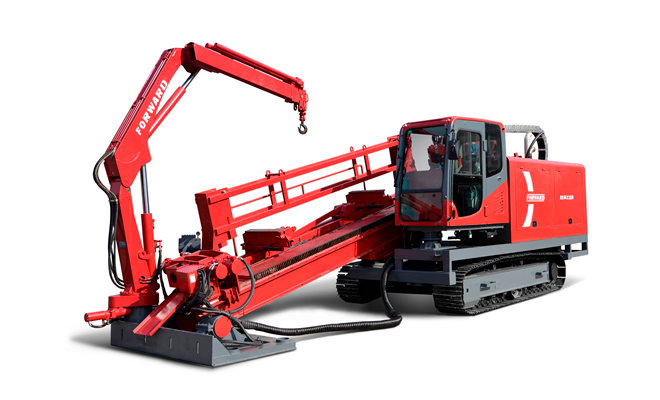 HDD rigs with thrust-pullback force more than 100 tons can be produced according the individual project and specific task of the customer. There are several ways of underground pipelines construction, none of them stands still, and they are constantly developing and improving. 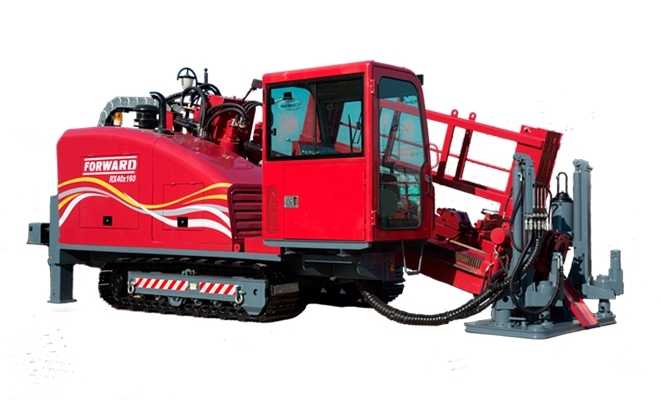 One of the relatively recently input technologies is the technology of horizontal directional drilling. 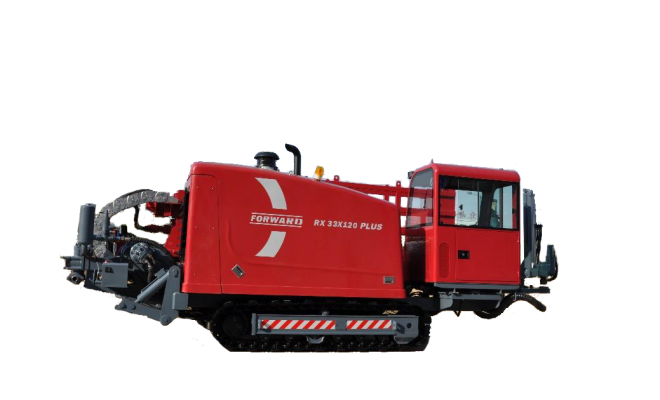 If there is no chance to lay pipelines by cut-and-cover method, horizontal directional drilling technologies are considered the most appropriate. HDD technology is often used in construction of the communication lines crossing highways, railways, lakes, wetlands and other waters. This technology is also applicable in the densely populated areas of large cities. Its undeniable advantage is the minimum damage causing to the environment, as well as, short terms of drilling works. Stage 1 is a preparation step. At this stage it’s necessary to analyze the soil composition, existed underground utilities and other materials. 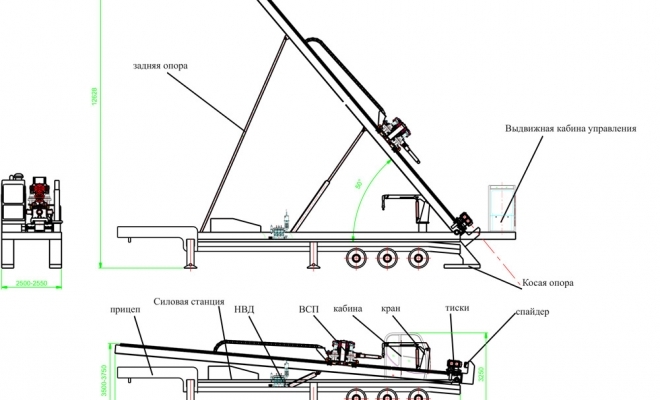 Also at 1st stage is very important to prepare and sign all technical documents for the construction project. Stage 3 is reaming the hole. Hole enlargementIn small diameter crossings the pipeline may be directly installed in the pilot hole. However in most cases pilot hole enlarging, known as “pre-reaming,” will be necessary. Pre-reaming is required to provide a bore diameter large enough so that the pipeline can be installed in the drilled crossing. Based on the final desired diameter and soil conditions this process may include one or more stages. 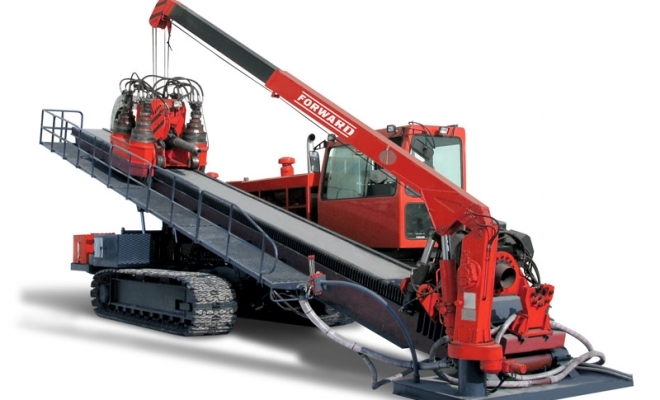 Our article “Selection of the HDD rig” will help you to choose the appropriate HDD equipment. Self-propelled. HDD rigs, which move all by themselves using crawler track. The track chain can be steel or rubber depending on pulling force of the drilling rig. Non self-propelled. 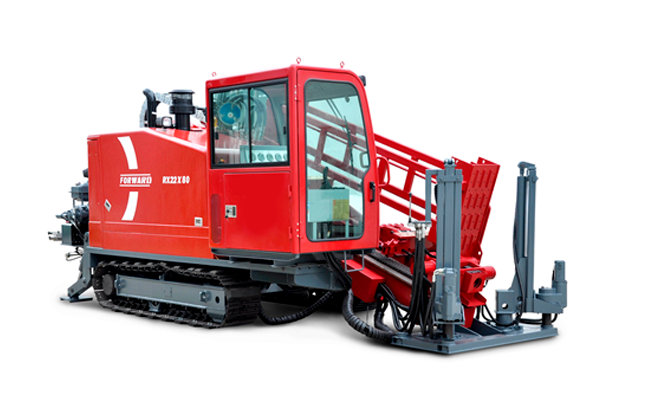 Such drill equipment are not equipped with crawler track. The movement of them are provided by crane. We advise to choose the HDD rig with the rubber belt track or special pieces of rubber (drive shoes) for protecting of the pavement. 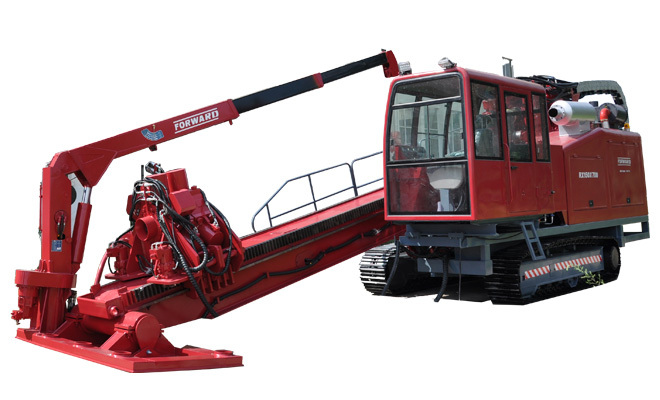 When you choose an appropriate law loader for transportation the drilling equipment, pay attention to the angle of the inclined ramp, which should not exceed 25 °. In case of operation in cold weather, FORWARD Company recommends to choose drilling equipment equipped with preheating systems of the explosion engine and hydraulic oil.